As Colin James puts it he’s talking about increasing security (ISIS) while decreasing security (of employment). One of these is real to Kiwis every day, the other is trying to meddle to cosy up to the US, and distract the country. But if the PM (if on duty) just needs to keep the story on how the terror level has been raised to “Stupendously Unlikely”. Or on a new flag. See, you’ve forgotten housing and jobs already. It’s hardly like they’re core. The Labour leadership thing helps as well of course – although if the media stops the beauty parade and lets them talk, they tend to be going on about the said horrendous housing reform and terrible attacks on the workers. So that’s a danger. Best keep to the flag and the scary men in keffiyehs. I wonder if the flag discussion be reframed into, “We are better than a company, Mr Key, and we don’t need a brand makeover”. Yep. Pretty awful how he’s trying to frame the flag as a corporate logo. He is still a royalist in his capacity as PM. He’s changing the flag in his capacity as captain of the all blacks. I really like the look of this flag, but it is not a priority to have it changed. There are more pressing problems which need to be addressed. I would rather the money go into a referendum on government housing and an inquiry to expose the deliberate FAILURE of this government when it comes to being so CONFUSED about what they are doing with Housing New Zealand properties and the tripe they have told to the public of NZ about introducing social housing. The government need to ABANDON social housing (except for about 5% with wrap around services for those with very high needs) and stick to the brand of state housing. Had the government put their energy into addressing the ongoing problems with state housing they would not be in the MESS that they are now in. What has the social housing experiment cost the government to date? The waiting list of urgent people requiring state housing has already burst because of what the government have not done. Just think of what the money paid out in tax cuts could have done for state housing. A Flag, a new anthem perhaps, and some big parades? The 26-million-dollar flag should have a new 26-million-dollar anthem to go with it, by which time JK will be ready for a few big parades. Let’s get conservative rock group The Feelers to write one. We should not look away from what is important, and as citizens be more involved in pomp and symbols of our democracy, while it is being dismantled just out of eyesight by the Great Pretender. More bad things will happen when NZ citizens get distracted and we will be misled again, making our demise as a nation to be proud of, complete. When things had gone so far in Nastie Germany that they had gone to war The White Rose youth movement there tried to advise people of what was happening. The students printed six leaflets dissenting. Dissenters were treated harshly. There was no room for discussion better ideas, or evaluation of wrongdoing by the government, which wished to proceed with impunity. This wikipedia is about The White Rose leaders. And shows their memorial, a number of A4 sized white slates lying in a muddled heap on paving that commemorates their effort to drop leaflets from the high platform of the university stair to communicate with the body of students with the hope that they would not be caught, which they knew would be disastrous. And note that the ringleaders were beheaded, it isn’t just carried out by wild men from the desert with a different religion which isn’t understood well by others. This was the fate of good people who try and change things that others have allowed to happen or others have not been able to mobilise and challenge the uncompromising change agents early enough. The six most recognized members of the German resistance group were arrested by the Gestapo, tried for treason and beheaded in 1943. Another member, Hans Conrad Leipelt, who helped distribute Leaflet 6 in Hamburg, was executed on January 29, 1945, for his participation…. Quoting extensively from the Bible, Aristotle and Novalis, as well as Goethe and Schiller, they appealed to what they considered the German intelligentsia, believing that they would be intrinsically opposed to Nazism. These leaflets were left in telephone books in public phone booths, mailed to professors and students, and taken by courier to other universities for distribution. At first, the leaflets were sent out in mailings from cities in Bavaria and Austria, since the members believed that southern Germany would be more receptive to their anti-militarist message. White Rose survivor Jürgen Wittenstein described what it was like to live in Hitler’s Germany: “The government – or rather, the party – controlled everything: the news media, arms, police, the armed forces, the judiciary system, communications, travel, all levels of education from kindergarten to universities, all cultural and religious institutions. I think the new flag should have a base of red along the bottom, the top two-thirds being white with black bars – giving the impression of those in a cell sitting vertically on the red. This could be taken to represent a people criminalised or locked up, with their life blood draining away, or for the near-sighted it could represent the move into a technological society with the bars being like those on price stickers. The red stripe would represent new blood flowing forward and wiping out the old and the backward, slow of the past plus the unasparashunal. Thanks. Can you tell me what the 420 formed by the kiwis in kiwiana represents? The noo zillun one is hot. But my one was very deep and meaningful! Grey, 4 and 20 pies mate. So 4 and 20 pies is it? I have a feeling then the kiwiana is a shameless attempt to extract some commercial sponsorship and rake-offs for our flag design. 4 and 20 pies (self explanatory but not actually with kiwis in them! 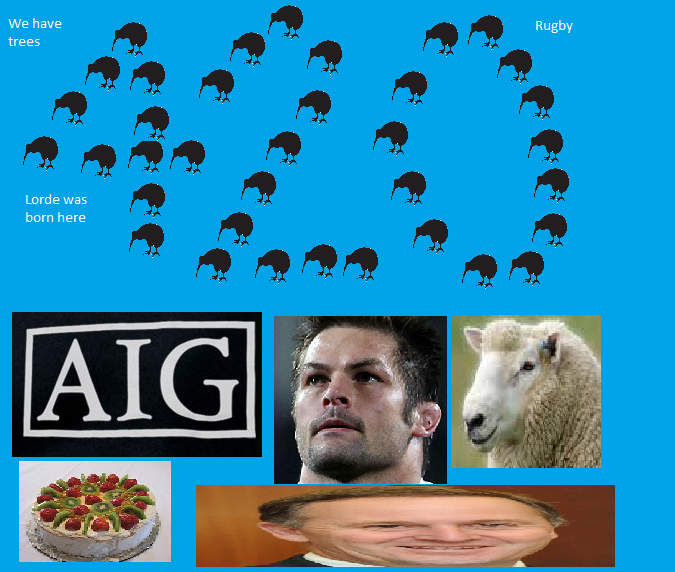 ), the IAG logo, (cash in a brown envelope), Richie McCaw, (free ticket to something? ), Shrek? (perhaps something with an icebreaker label), a pavlova (if it has NZ cream on it that will be good for a year’s supply), and someone with a big head which might be yek, (a ride in his new limousine that will replace the BMW, an appreciation now he has won another term in the little country that couldn’t…). This isn’t too bad, but a bit busy with the stars and fern like that. Ferns are fine on company logos but they’re rubbish on a flag. It has to be something anyone can draw in crayon and still look good. Simple lines. Bold shapes. Easily reproducible in any form. What about a marijuana leaf and keep the stars for the effect? At least that has the advantage of symmetry. If Mr key was thinking outside the box or thinking ahead we would have had some little option box’s to tick on our voting paper . The money for this two year referendum would be better given to school food charities, but as we suspect this might not be a productive use of money,a flag is a symbol and our identity it rhythms with our past perfectly, but some may well say it does not reflect our shared diversity and identity quite right again. The photo of the new flag is shades of the old one,a new start and hope awaits us on the other side of johns flag is some what of dream ..
Nope, I’ve tried but I can’t raise any interest or enthusiasm for this meaningless distraction. I really couldn’t give a f**k . The NZ I gave a sh*T about is gone forever. As long as my offspring stay employed and resident anywhere but here, when I turn up my toes it’ll be as a happy woman. I think this is an important topic, but in my opinion, the title needs a sub heading to indicate the ‘Flag Change Distraction’. I almost missed this article when I read the heading, ‘Distractify’. First of all, we do not know if there is a strong desire from the people to change the flag. Is there? So, the primary exercise should be to check if the people want to change it at this time. Perhaps the polling companies should investigate this question. If there isn’t a strong desire, then it is prudent to flag this change of flag debate. If the polls show that there is a strong desire, then the referendum should first ask that question, ‘Should we change the flag now’ before giving any choices about the different flag options etc. It seems this flag issue is a huge distraction when there are many other more important urgent issues to worry about such as poverty, worker’s rights, poor wages, growing wealth and income gaps, TPPA, getting involved in other people’s wars without UN mandate, spy laws, housing problems etc etc. It seems to me that at this time to spend 26 plus million dollars is an unnecessary and likely an unwanted wasteful luxury probably all for the mere ego and the legacy-desire of the Prime Minister. Rule of thumb – if Key wants it, stay well away as there’s always a nasty catch. 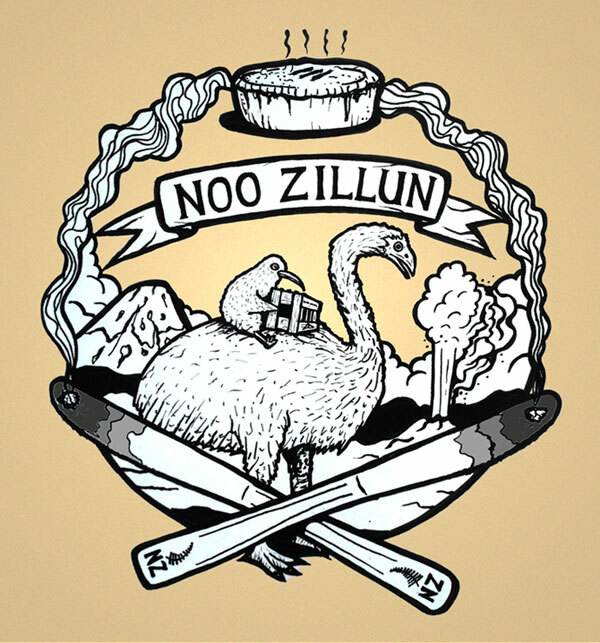 Kiwis have fought and died under the current flag. Key can come up with any design he likes to promote NZ tourism or export drives, but the national flag should not be touched… and especially not by Key, with his record of lies and deceit. I simply can not fathom why Key is pushing this flag issue now when there hasn’t been any indicative poll, agitation or demand for it at the moment. I wish some political party or parties or some organisation such as RSA or a combination of organisations and parties would start a public petition to say that ‘we are not interested in changing the flag at this time’ and collect signatures to prove the point and save money, resources, divisions and unnecessary distraction. Your point about the flag being a distraction is clear and well-put. So, on the basis that it’s understood well in advance what the situation is, then it is the job of the opposition parties to do an effective job of getting that message out to kiwi mums & dads, while at the same time not being the possums in the headlights that Key wants then to be, and so effectively campaign against whatever he’s trying to distract us from. Do we have an opposition that can do that? 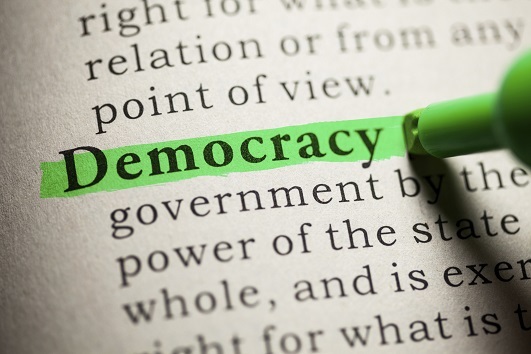 If I recall correctly, there are a couple of other factors that are necessary for democracy to work, too.